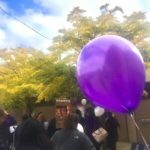 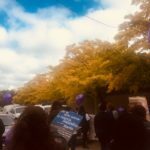 This October – Domestic Violence Awareness Month – Metropolitan staff and friends from our North Center community joined the Chicago Police Department’s 25th District and its Domestic Violence Subcommittee for a walk and rally in honor of lives lost in the area to domestic violence. 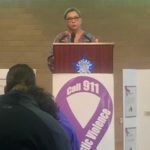 Attendees wore purple and brought noisemakers to help break the silence. 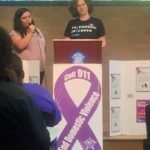 Together, we hope to educate the community about types of abuse and resources available to survivors, empower people to stop ignoring the abuse, and eradicate domestic violence. 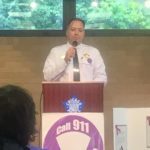 Thank you to everyone who joined us at the rally, including Anthony Escamilla, Commander of the 25th District; Milly Santiago, 31st Ward Alderman; and Tall Hasak-Lowy, Executive Director of Friends of the Children for uniting with our community!